The Alpinestars SP-1 v2 Gloves for women uses accordion stretch panels and stretch fabric along the fingers for comfort and freedom of movement when gripping your controls. A secure hook and loop wrist closure keeps the glove firmly anchored to your hand. 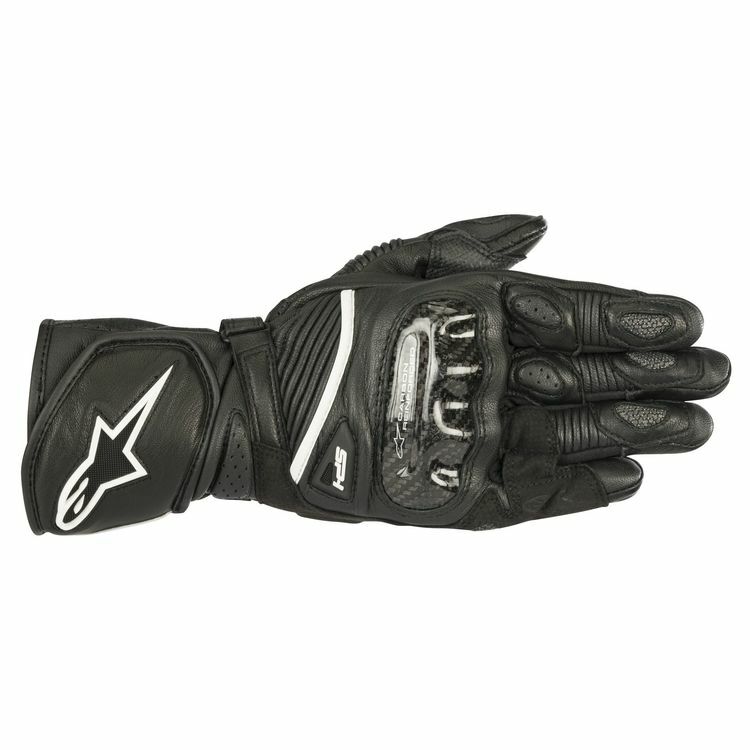 Alpinestars continues to use full leather construction, hard knuckle protection and their patented finger bridge to maintain the SP-1 V2 level of protection. The Alpinestars Stella SP-1 V2 Gloves straddle the line between track and street gloves, perfect for the rider looking for track style protection in a comfortable everyday glove.